The latest weekly United States Mint numismatic product sales report shows reduced activity across most product categories. The reduced sales levels can be attributed to a blackout period for orders which took place ahead of the launch of a new retail website and order management system. During a transition period beginning on September 27, 2014 and ending with the launch of the new website on October 1, 2014, the US Mint did not accept orders either online or by phone. In addition to the blackout period, the US Mint also did not schedule any new numismatic releases during the two weeks both before and after the website launch. Without any new products available, most sales were centered on annual favorites. The top selling product for the week was the 2014 US Mint Proof Set with 3,736 units sold. This long running product contains proof versions of each of the year’s coins struck at the San Francisco Mint. The next highest seller at 2,730 units was the 2014-W Uncirculated Silver Eagle, which represents a collectible uncirculated version of the popular bullion coin. Coming in third was the 2014 US Mint Silver Proof Set at 1,518 units. This product contains proof versions of the current year’s coins with the dime, quarters, and half dollar struck in 90% silver. A modest jump in sales was seen for the individual fractional sized 2014 Proof Gold Eagles. The one-half ounce, one-quarter ounce, and one-tenth ounce sized coins each saw triple digit sales levels for the week, coming in above the recent sales ranges. This year’s popular Baseball Hall of Fame Commemorative Coins continue to add sales for the remaining available products. Weekly sales were 1,213 for the individual proof, 313 for the individual uncirculated, and 148 for the Young Collectors Set. Across all available options, the curved half dollars have reached sales of 371,042 units from the maximum mintage of 750,000. The 50th Anniversary Kennedy Half Dollar products saw another week of relatively subdued sales after their frenzied launches. 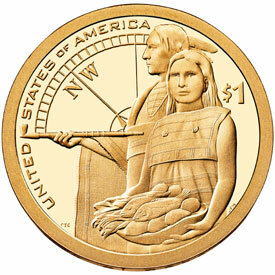 The three-quarter ounce gold proof coin added sales of 187 to reached cumulative sales of 63,944. The two coin uncirculated set added 183 units to reach cumulative sales of 132,928. Do you have any explanation for the zero (0) sales for the 2013 First Spouse Gold coins? I know this series is not popular, but zero sales seems odd. In addition to the First Spouse coins, there were several other non-sold out products that showed zero weekly sales like the 2013 annual sets. I do not have an official explanation, but it likely has to do with the website changeover. If they are still not reflecting changes next week, I will follow up with the Mint. Thanks Michael for the answer and thanks for the great coin information that you continue to provide all us coin collectors. We appreciate it. With the change over came some headaches for the buyers/users. I forgot the answer to my secret question which was done over 6 years ago. I had to resign up using a different username and password, which some might not want to do right away. The new website has a number of bugs. I contacted CS about a few and some of the responses I got demonstrated to me that they don’t even bother to read and comprehend emails. For instance when I tried to tell them the Grover Cleveland coin cover for the 1st term doesn’t show up unless you specifically search for it I kept getting generic emails back about how sometimes the mint sells out, blah blah blah. I got the sense I was dealing with an offshore call center or something, really poor. Actually, based on my experience with the mint’s new CS call center (you can read about it over on MNB), I think they would’ve fared better if they had contracted it out to an overseas company. I’ve had nothing but the run-around with them and the USPS regarding the return of one of my packages. The mint’s CS kept telling me that someone would give me a call back regarding my problem and they never did.